We hope summer’s treating you well! Summer here in Skövde, Sweden is not quite as sunny as one would have hoped, but that’s okay! As you might know, we post here on the blog with two weeks intervals. That’s to give you an insight into what’s going on here at the Raft Headquarters and to get your feedback on how the development is progressing. We try to make each blog post as interesting as possible and of course we always try to show you as much juicy new content as possible. Unfortunately, due to varying reasons we don’t always have things to show. We’re still a very small team and while we do work very hard to get as many things done as possible we have limitations. But we still want to keep in touch with you all, which is why we don’t just say “screw the blog”. We hope you understand. The reason we mention this is because since the last blog we have been hard at work with things we are not quite ready to show you, but it’s getting there. It won’t be long until we can show you some really cool stuff that we’re super excited about! And if you’re already someone who enjoys Raft we’re pretty sure you’re going to be excited as well! While we don’t have any major things to show you this week, we have some minor changes we can tell you about. It’s now possible to place things on other things! You can have a chair or a grill on a table, or a chest on top and under a table… Or why not a table on a table? Also, the hook now has improved physics, so it will bounce on stuff! It doesn’t sound like much but it makes it feel a lot more incorporated into the world. And also, you can trick shot! We showed you the seagull picking some beets in the last blog, so we thought we could show you how it handles a scarecrow as well! While it might feel like the seagulls will only bring you pain and suffering, they will also supply you with both food and resources. Its meat can be cooked for some delicious drumsticks and its feathers will be used to craft various objects, including the hammock. That is if you manage to catch it of course. So, that’s all for this time. We hope it was worth the read despite the limited content! As always, have a good weekend and until next time! Then how about a net for catching the seagull or items/fish when you’re under water? Also, I would fix the water going through objects. A feature that is a necessity is Multiplayer. I would love to see a map get added and Islands so you can have different settlements with resources. 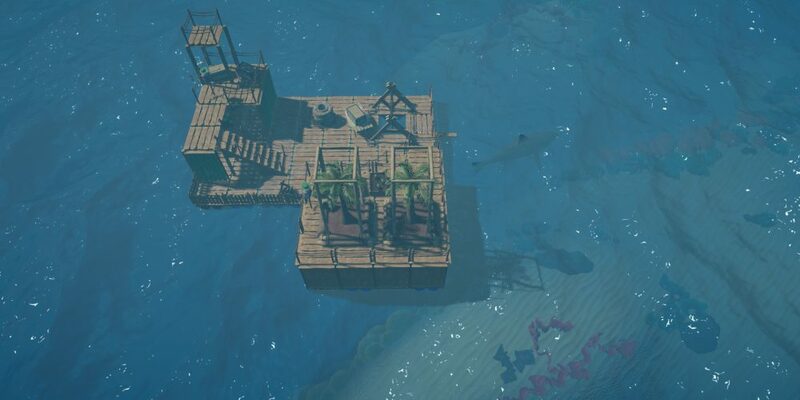 I know the raft is constantly on the move but I would love to see Islands or settlements get added, the map would be a rare item that requires a certain amount of gameplay to be found floating in a chest. 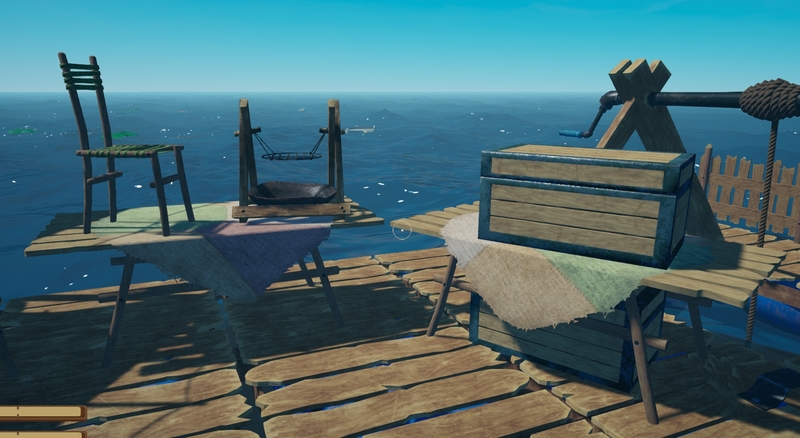 You should be able to build fins to steer your raft, once you get the map. Do you currently have a steam page setup? Not to purchase but in order to add the game to your wishlist. To further broaden the game in the long term, a super cool feature would be battles, where you and your friend start on different rafts, and attempt to sink the other. Or dedicated servers where you pillage and sink other rafts, this may be against the whole concept of the game, but nevertheless would be awesome! Cool. Are you building on your own engine or some of the so many existing already (Unity, UE, Ogre)? I’m waiting to see it! What about having pets? Another idea is to catch a fish and put it into a bowl or something like that. That could be an awesome feature to find hundreds of different fish to customise your raft with some nice-looking fish. Do you plan to port the game to Mac and Linux after releasing it to steam?